Survivor 38: Live Updates/Show comments/Episode Discussions! Topic: Survivor 38: Live Updates/Show comments/Episode Discussions! 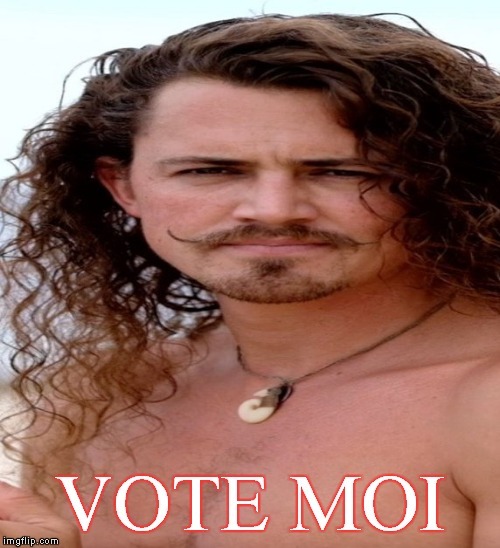 Re: Survivor 38: Live Updates/Show comments/Episode Discussions! Victoria really impressed me in the latest episode and I'm loving her arc and playstyle. It probably helps that I've never been an Aubry fan, but the way Victoria went about it was awesome. Gavin is also a lot of fun, and in a non-Joe season Probst would be gushing over him. Wardog continues to be bothersome and I wish he had gone home. I'm really enjoying David a lot more than I thought I would, and I'm rooting for him to continue going far. Ron is another person I'd really like to see more out of. He seems like a strategic thinker and not a particularly obvious one. I hope we get a chance to see more of what he brings to the table. will original kama vote off remaining original manu or kama 5 and manu 4 will destroy each other with help from lesu 4 or big chaotic shuffle happens? I finally watched this episode today that I missed the usual time period schedule due to death of my distant relative. Aubry is getting sad to go and she is hoping to rejoin the game for a 13-person merge. I called it! Noticed rick had so much screen time! I liked joe. Was hoping it was wentworth. Felt like she was the bigger threat in the long run. David, Joe, Eric, and Eliza Thornberry are my top 4 right now. Victoria, many fans have thought that she looks like Eliza from The Wild Thornberrys. She even jokingly brought it up on Twitter. The editing this episode was so weird. The reveal of the EoE twist and the challenge that followed were pretty good, but that's all I can say. We cut from the five that lost all cheering about returning to EoE to Keith & Wendy immediately raising the white flag for no reason. The rest of the episode was similar where things just happened without much explanation. The show presented the Kama 6 as such strong players, yet I still don't care for them personally. Their confessionals are either generic or relate to returnees. This episode did alleviate one fear I had about the jury but brings up another. I feared that the people on EoE would not view tribal and would only get their information from second-hand stories like Redemption Island. But this format is the same problem that the Cook Islands jury had. 3 people on that jury never played with the Final 3. In this case, the 3 already on the jury haven't played with some of the people left. This episode showed why I think Joe is overrated. He is a terrible strategist but beloved because he's good at challenges. Jeff Pitman has brought this up but the last time Joe successfully voted someone out was Worlds Apart. But that brings the question of why did Probst reveal that EoE was back in play? Was Joe complacent because he knew he could just win his way back later in the season. Everyone said that this twist favored Joe much like Ozzy in SoPa. 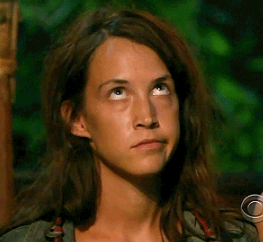 Probst could have just said that the people that lost were given a choice to stay and be a part of the jury or leave. Intense episode ever. HD version of outcast twist and two weaker players quit the game without ever becoming a member of jury. Really Really good post. Weirdest editing ever...this needed to be a 2 hour ep for sure! Just was able to watch...hoping like heck we get more in the elimination videos. The editing issues are definitely agreed on with fans. Shouldn't be a problem from next episode, since it was mostly the big reveal + returnee challenge + merge feast that took up a huge chunk of this one episode.